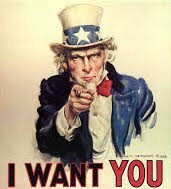 I want YOU to join the food waste fight. “Global Citizen” is a social action platform working to solve the world’s biggest challenges. The platform helps people learn about issues, take action and join a community committed to social change. One of their causes is food and hunger. They have created a catchy YouTube video to boost awareness and education around food waste and hunger that parodies Ed Sheeran’s “Shape of You.” The video states the following statistics: 1.3 billion tons of food from homes, stores, restaurants and companies get wasted every year while at the same time 1 in 9 people go hungry. The video also offers up suggestions for reducing food waste. We are all global citizens, living and moving in this beautiful world. Our actions impact others in positive and negative ways. Wasting food negatively impacts the environment, the economy and contributes to hunger. Luckily, we can change our ways by reducing our food waste in an effort to help fight hunger. I am calling all global citizens to wage a war on food waste. I want YOU to join the food waste fight today. Check out the video below, be inspired and start today to help fight food waste.